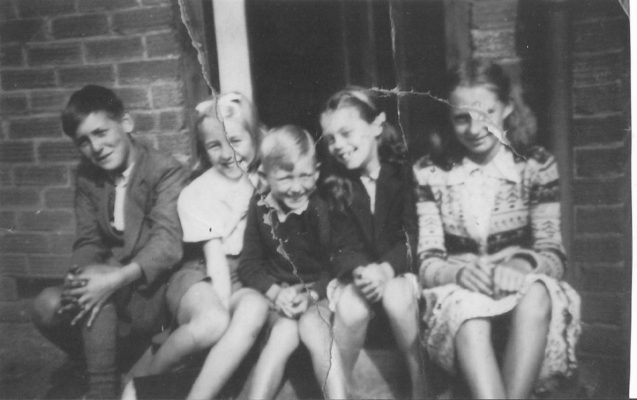 This photo was taken c.1950 on the front step at No.3 Dellfield Road. From left to right Keith Tott, Laura Bates, Paul Ward, Sherron ?, Brenda Hawkins. Laura Bates remembers happy childhood days playing in the fields along Briars Lane before the New Town houses were built. Keith Tott was my dads younger brother.